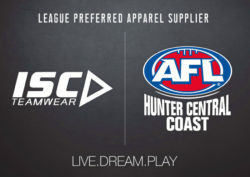 The BarTV Match of the Round will be streamed live from Adcock Park as Gosford Tigers take on the Maitland Saints. This Round 3 Haval Black Diamond Cup match is shaping up as one for the ages. Last year these teams met twice in very close encounters. In round 2, Gosford held off a second half rally to win by 10 points. 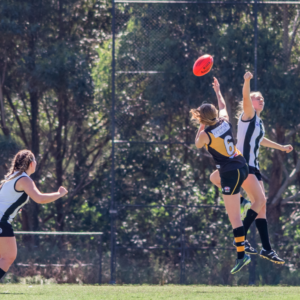 In round 12, Maitland found themselves leading at the last change only to be met with a 4-goal epic last quarter by the Tigers and a 20 point loss. 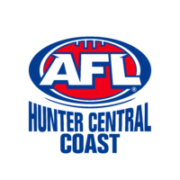 Both teams reported strong pre-seasons and have genuine high hopes to feature in a revamped final 6 this year. However, Gosford were given a reality check at Tuggerah going down by 123 points to early flag favourites Terrigal. But they bounced back as only the Tigers know how when they broke a last quarter deadlock with a goal and victory against Wyong in round 2. In round 1, Maitland had a rousing display against the reigning premiers Newcastle City but were not able to repeat this performance against a rampaging Cardiff last week. The Saints will be hell bent on a change in fortunes and will have penned in this match as their first win for the season. Gosford will be hoping Daniel White passes a late fitness test to be available for the game. A consistent performer last year, White received a contact injury to his knee in round 1 and missed last week. White’s inclusion will have more significance if reports that Pat Murphy may not be available are true. Murphy has been a stand out this year in the midfield and Gosford will need a re-shuffle if he is absent. Gosford coach Joshua Barty was tight lipped when quizzed on the final make up of his team. “We have 5 or 6 players pushing for selection this week,” Barty noted. “It’s a good problem to have.”. The Gosford team list when submitted this Friday should make for some interesting reading. The new 6/6/6 rule has caught has Gosford out on numerous occasions this year resulting in free kicks to the opposition. This is something the Tigers just cannot afford this week at home on the smaller Adcock Park. Other than their own teething issues, Barty was asked how the new set up rule has influenced the game. Gosford’s midfield clicked on the weekend on the back of a strong structure that proved the difference. Their attack at the football was consistent all day and Barty will hope that there will be a repeat performance of this come Saturday. The Tigers have been buoyed by Scott Manuelle who has been brilliant at full back this year and another good performance against the Saints will definitely please the coach. This will be that little bit harder for Gosford with reports Maitland’s Pat McMahon has overcome the injury which left him on the sidelines last week. McMahon is a class act and Maitland are always a different team when he is on the field. However this may only offset the loss of gun forward Jason Kennewell who will miss the game due to work commitments. Maitland coach Ben Stewart was confident his team would be able to turn the tables on last year’s tight losses against Gosford. Maitland will be reliant on Jason Adlington and Colin Carroll to continue their great early season form if they hope to win. This will not be easy as Gosford present with some difficult match ups, as Stewart explained. This game should go done to wire and is the match of the round for a very good reason. Both teams are young and quick so expect fast transitions in a high scoring match. Look for the winner to prevail late and be the team who outlasts the other in the running department. If you cannot get to the game be sure to tune into BarTV and the dulcet tones of David Redden at 2pm as he calls the Match of Round between Gosford and Maitland in the Haval Black Diamond Cup. 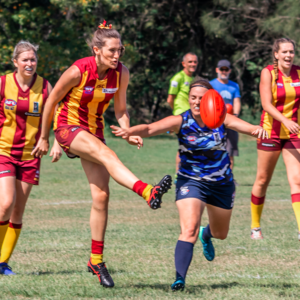 In the curtain raiser Gosford will have their hands full against the might of Maitland in the Hunter Haval AFLHCC Women’s Competition. 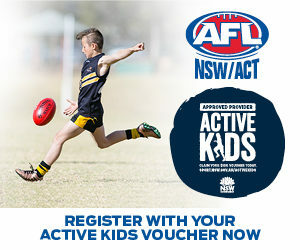 Gosford is in a rebuilding phase whilst Maitland is building momentum which will see them playing deep into the finals. 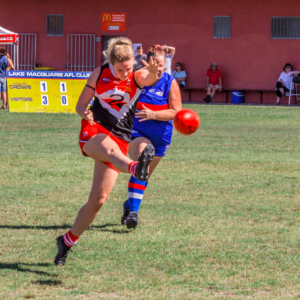 Maitland has brought their good pre-season form seen at the Women’s Preseason Gala Day straight into the season proper with fine wins against last year’s premiers Newcastle City at Tuggerah backed up by a 40 goal demolition at Ferodale Sporting Complex in round 2. Gosford had a solid win against The Entrance-Bateau Bay in round 1 but last week were outplayed by a classy Wyong outfit. 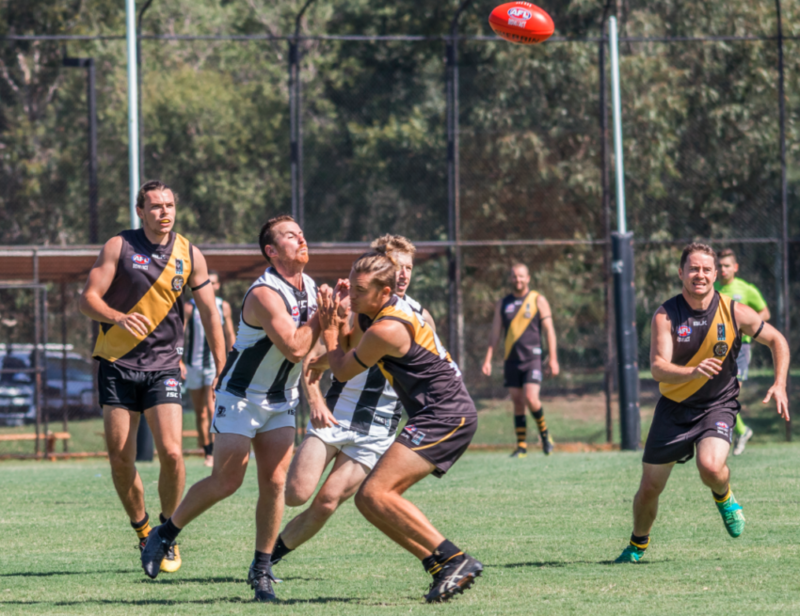 The Tigers will keen for this round to arrive so they can atone for last week’s loss and what better way to do it than against one of the form sides of the competition. Catch all the action live from 12pm on BarTV.